The most significant missions to the Moon were those of the USA's Apollo program. The first manned lunar fly-around involved 10 orbits of the Moon by Apollo 8, between 21 and 27 December 1968. 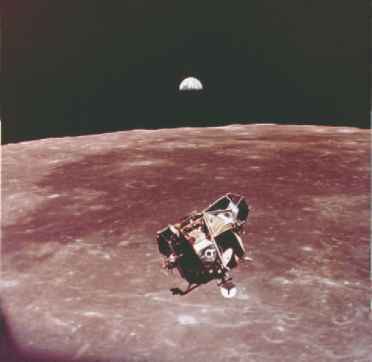 Apollo 11 was the first manned lunar landing, on 20 July 1969. The landing site was Mare Tranquillitatis. Neil Armstrong was the first astronaut to walk on the Moon, followed by Edwin Aldrin. The third crew member, Michael Collins, stayed in the command module orbiting the Moon. 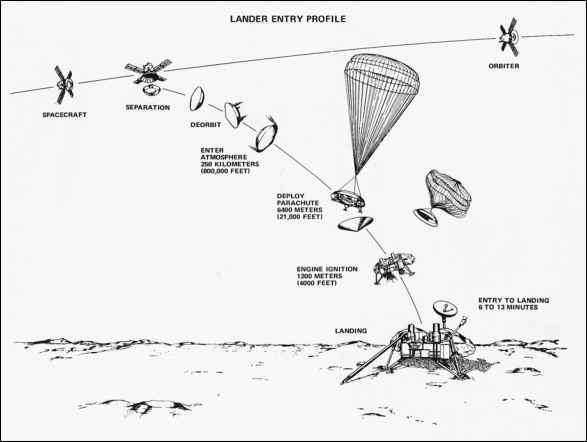 Apollo missions 12 and 14 through to 17 involved landing manned craft on the moon's surface (see Chapter 1 for details). Of these missions, Apollo 15 was the first to make use of a lunar rover vehicle. The last Apollo mission (Apollo 17) occurred in December 1972. Exploration of the Moon continued with the Galileo and Clementine spacecraft. In October 1989, Galileo began a six-year mission to Jupiter, but on its way it passed the Moon twice. Data was returned to Earth on the composition of the lunar surface. Clementine went into orbit around the Moon in February 1994. Using laser-ranging techniques and highresolution cameras, Clementine mapped the Moon's topography in greater detail than had been done previously. In 1999, Prospector also mapped the lunar surface and detected ice buried beneath the ground in deep polar craters. More recently Japan and China have sent space probes to the Moon.